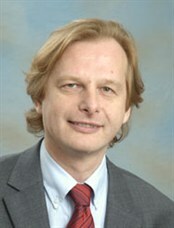 Dr. Christopher Brewster is a Senior Lecturer in Information Technology in the Operations and Information Management Group, Aston Business School, Aston University, Birmingham. His main current research focus is linked data and open data in the agrifood supply chain, with a particular interest in how data integration in the supply chain can mitigate against food crises, lack of sustainability and food waste. He has a PhD in Computer Science from the University of Sheffield. He was a principal investigator on the SmartAgriFood project (http://www.smartagrifood.eu) and the FIspace project (http://www.fispace.eu). Abstract: This talk will discuss the importance of Open Data for the food system, and how there needs to be a shift of attitude to enable greater data sharing. We will argue for reasons internal to the food system, and also external to the food system a base line of open data would be beneficial for a great many actors from farmers to end consumers.